February 2016 - Wylie & Co. There are times when saying “Thank you” simply isn’t enough. Maybe a co-worker went above and beyond to help you meet a deadline you would’ve otherwise missed. Or a colleague gave you some amazing advice that helped you land you a new client. Whatever the reason, we wanted to share our favorite 3 unique ways to say thanks. They’ll even work if you want to say happy birthday or just brighten up someone’s day. If you’re buying for someone with a sweet tooth, Sugarwish is perfect. A Sugarwish is sent as an e-card. The e-card guides your gift recipient to the Sugarwish website to select their favorite candies. Their candy is then packaged and shipped right to their door. 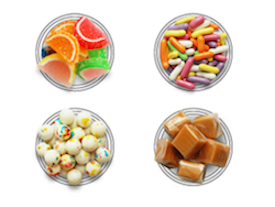 We love Sugarwish because there’s a big selection of candy (including lots of old school candies) to choose from, a variety of price options (you can send one for as little as $16.50), and they ship fast, too! Uncommon Goods is perfect if you’re looking for an uncommon gift that your recipient will know wasn’t picked up at Target (although we do love Target and would always be grateful to get a Target giftcard). 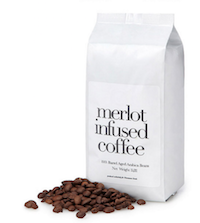 We love Uncommon Goods for all of the unique products they sell (merlot infused coffee, anyone? ), many of which can be personalized. You don’t have to spend a ton of money to say thanks. Hello Happiness Card Company believes handwritten letters are magical, and so do we. Pick up a pack of their unique card packs and keep them on hand. Writing and mailing a card shows someone that you took time out of your busy day to let them know just how grateful you are. 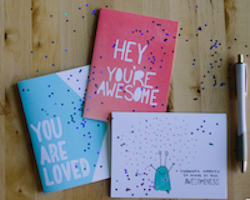 We love Hello Happiness because of their motto, their creative cards, and all they stand for. And if you’re into DIY, follow them on Instagram for lots of fun ideas to spread happiness to someone who deserves it. What’s your favorite way to say thanks? Pro Tip: Keep striving and never give up! My husband and I recently went to Las Vegas for a wedding and while driving around spotted a Raising Cane’s. Never being the ones to turn down the chance at trying new fast food, we gave it a shot. We pulled into the drive-thru, did a quick scan of the menu and discovered something interesting. Raising Cane’s only sells chicken fingers. No burgers, no tacos, just chicken fingers. You can buy them in a variety of quantities, you can add fries and a drink, but at the end of the day, you’re going there for some chicken fingers. And they are damn good at what they do. We often consult with clients who are concerned that their marketing isn’t moving the needle. They’re doing everything. They’re on all the platforms, they’re developing content that speaks to multiple audiences, they’re throwing everything at the wall and nothing is sticking. Our advice? Streamline your marketing efforts so that you’re consistently selling the same thing to the same audience. You can’t be all things to all people. Focus at being the best at what you do and tell that story to a targeted audience in a way that they care about. Then do it again. Over and over. This will mean alienating some people. It might mean not being on every single social media platform. 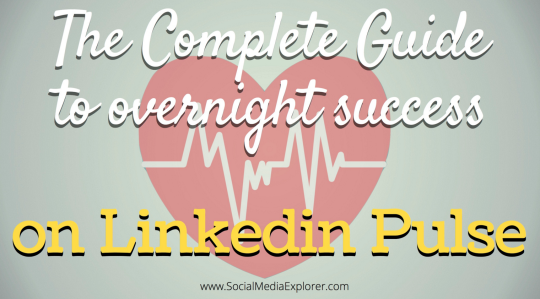 But in the end, you’ll have a streamlined, targeted marketing strategy that actually converts. There’s no substitute for that. written by Nailah Blades, Founder & CEO of Wylie & Co. Pro Tip: Are You Ready To Host An #AMA? Pro Tip: Don’t host an ‪#‎AMA‬ unless you’re ready to answer all the questions.